This is my version of Slices of Sunshine and I love the way it turned out. It was especially bright and cheerful after all the fog we've had recently. I pieced it a little differently than the instructions called for because I already had a stack of 2.5" yellow strips which I wanted to use. 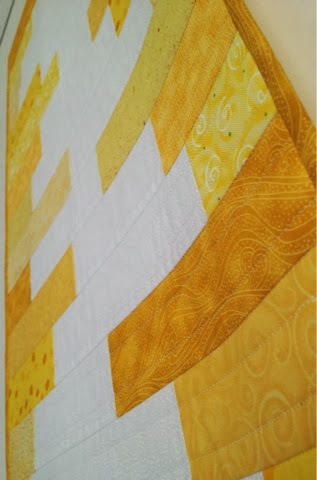 I used white thread and quilted in the ditch horizontally and then 1/2" on either side of each seam line as well. It was a lot of stitching but well worth it. 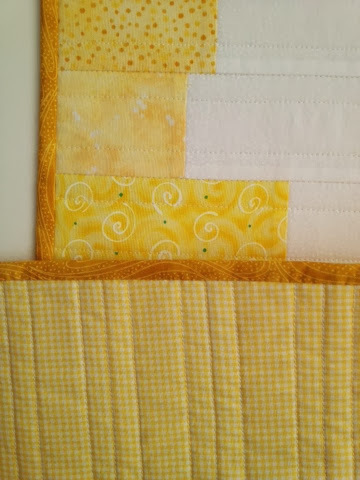 On the back I used a yellow and white gingham print.